As a part of ARTiculture’s inaugural season, the Drawing Rally, a live art event and fundraiser, is sure to be an artistic, energetic, music-filled event. ARTiculture: Community Supported Arts is an exciting new model of art support and distribution that is based on the Community Supported Agriculture program, promoting buying direct and local. Read more about ARTiculture here. The Rally will be taking place as a part of The Alley Project at approximately 326 E. College Avenue- the alley next the History Museum at the Castle. The Alley Project is a collaborative effort to bring a disused alley to life during 2015’s Mile of Music. 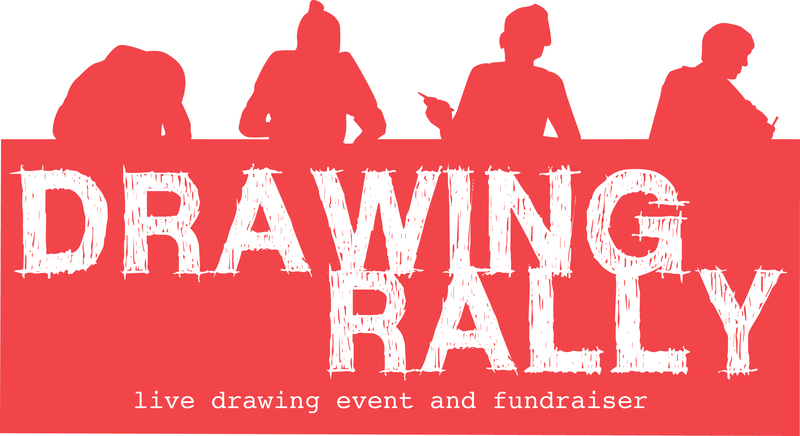 The Rally will take place on Saturday, August 8th with drawing starting at 4:30pm. Here’s how it works- there are four 30-minute live rounds of six artists and community members. During the thirty minutes, artists can create as many pieces they wish the materials of their choice. As each work is finished, they are displayed and put up for sale for $20. 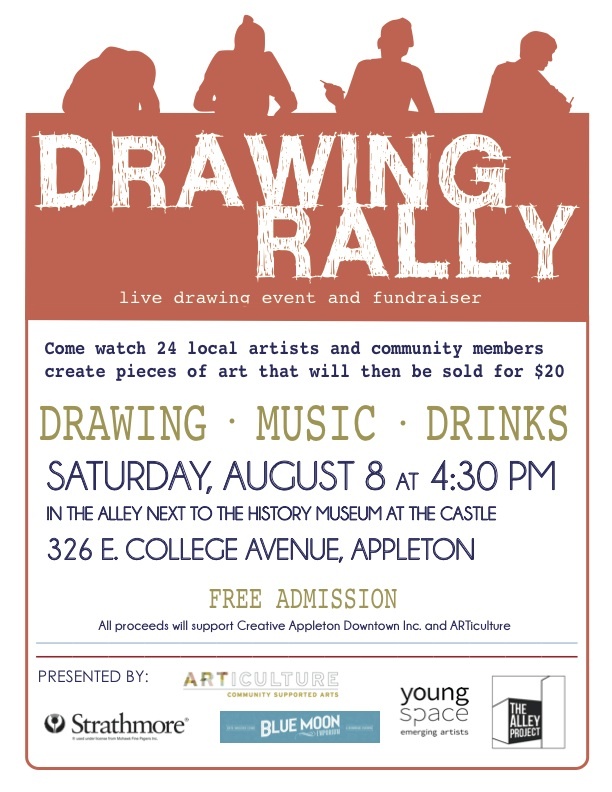 The proceeds will benefit Creative Appleton Downtown Inc. and ARTiculutre. Admission is free and refreshments will be available for purchase. ARTiculture: Community Supported Arts is modeled on the Community Supported Agriculture program, which promotes buying direct and buying local. ARTiculture gives community members the opportunity to own original works of art by local artists through seasonal “shares” of art. In addition receiving artwork with each ARTiculture share, shareholders are invited to exclusive art experiences and will receive an extra perk at the Drawing Rally. Although the Rally is open to everyone, shareholders will have the benefit of being able to choose the work of art of their choice that afternoon. Thank you to Strathmore Artist Papers, Blue Moon Emporium, Young Space, The Alley Project, and ARTiculture CSA for making this possible.